A straight 1979 WS6 Trans Am? At least they mowed the grass around it from time to time. Second generation Trans Ams are gaining in popularity. Take this brown 1979 Trans Am for example. It is b-r-o-w-n and cool, really. 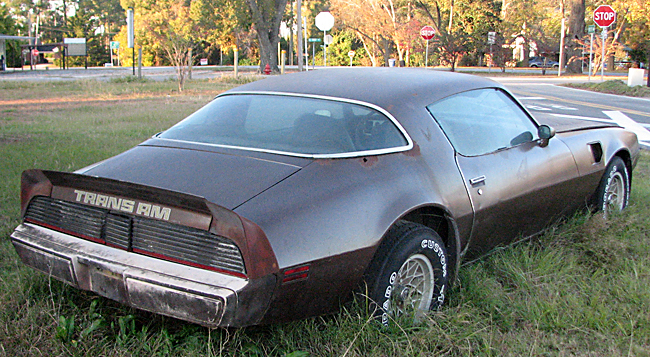 I wish I could notify the original owner of this once beautiful 1979 Pontiac Trans Am. They probably thought selling the car was the right thing to do at the time. Could they imagine that their beautiful Heritage Brown WS6 would end up grazing in a field in South Georgia? My friend Anthony and I (Ron) found this honey bird on the way home from a swap meet in the peachtree state and made an abrupt stop. As I accessed the grounded victim of poor decisions, my mind flashes back to what it must have felt like in late 1978 or 1979 when that lucky person strutted into a Pontiac dealership and fell in love at first sight with this new Trans Am. I love those stories. Did they spot it on the lot? I wonder if they had seen the color combination in a brochure and ordered just that. Perhaps they didn’t want the T-Tops and purposely opted for the hard top. Maybe they wanted the 400 Pontiac motor and an automatic transmission, but found out that was only available with a 4-speed in 1979. Hence, the next best thing – the 403 Oldsmobile engine with an automatic transmission. Notice how well the panels and doors seem to be well in line. This would be a nice car. This Georgia Honey was moderately optioned with the 403/automatic combo with air conditioning and tilt wheel. It did not have the deluxe lighting package, although it did have deluxe interior. 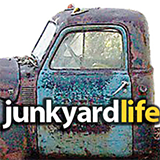 The one option it did have that we Firebird Galoots here at Junkyard Life absolutely love – WS6! Introduced mid-year in 1978 with a thicker sway bar and 15 x 8 wheels. 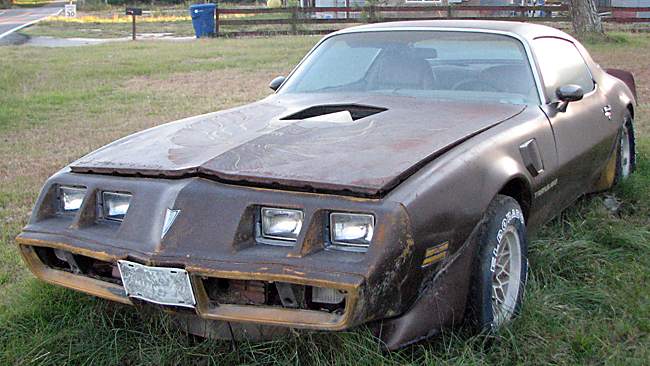 Then Pontiac totally improved the Firebird again in 1979 with the addition of an awesome 4-wheel disc brake set-up! In 1979, the Pontiac Trans Am outbraked the Chevrolet Corvette. If you ask me, checking off the right options in 1979 on your Formula or Trans Am, you could out run the Corvette as well. The media would never confirm my performance opinion, but did indeed hand over Corvette’s traditional “Best Braking” crown to Trans Am (equipped with WS6) that year. Making sure I got my facts correct, I learned that Pontiac's Brentwood Brown, Chesterfield Brown and Heritage Brown were all the same paint code (code 69). Although it seems the 1979 Heritage had more of a “honey glazed” effect than the prior 1978 Chesterfield and the 1977 Brentwood. Whether they changed the recipe from year-to-year or not, a 1979 Heritage Brown Trans Am made for one handsome vehicle and will always get my attention, even in a condition like this. Pontiac's 15x8 WS6 wheel. Notice the extra “lip” on the outside rim. This is a quick way to tell the difference between 15x7 Snowflake rime that did not come on the WS6 cars. 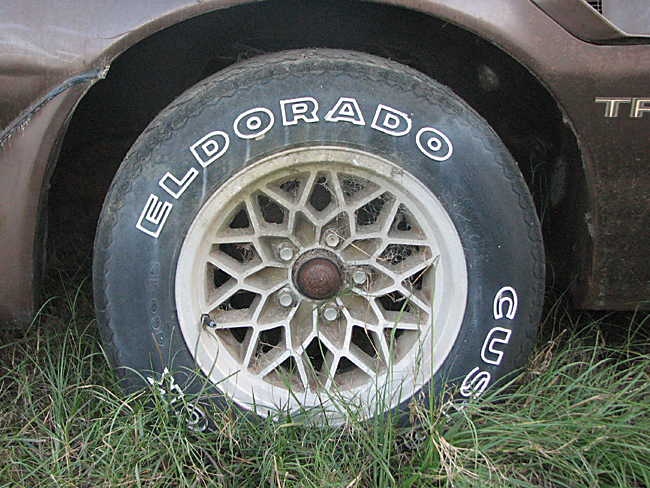 Also, notice the original lug nuts and late 80’s era tires! The good news is this T/A could totally be saved and has a lot of great parts and options. The hard top may have slowed the detrimental effects of time and the dreaded cancer that moisture creates. The Bird also seemed pretty straight and was in sight of a highway. The bad news is I know it has been there for two years in almost plain sight. So, I imagine other Firebird enthusiast have tried to find the owner and let the automotive rehab begin. Lets hope it's not one of those “I will let the car rot to the ground before I sell” situations. We can always hope it will fall into right hands (maybe ours) and be back on the road! Happy Hunting! Gotta love those Snowflakes. 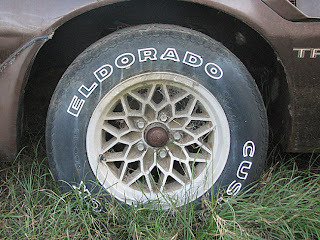 Probably the coolest factory wheel ever...at least in the '70's anyway. Great site. Keep up the good work.